“Even the 70’s couldn’t make [Mr. Clean] grow a moustache.” But in honor of Movember, it is official – the more LIKES Mr.Clean gets, the more Mustache he shall have. What’s not to like about that? 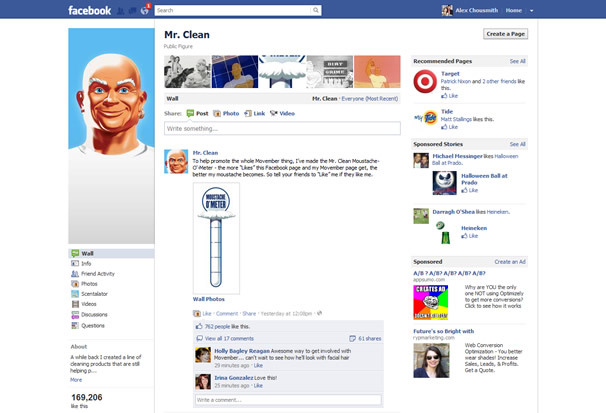 Get more story from the Mashable article, check out Mr. Clean’s very own Movember user page, and go LIKE that FB page to make that mustache grow grow grow! Next PostAre You Planning for Online Success?